Buffaloe Floor Covering, Inc. has set the pace in the floor covering industry for almost 50 years! Skilled craftsmanship, attention to detail and the finest materials available keep Buffaloe's satisfied customers coming back and sending their friends. Operating from company-owned facilities and using sound business practices places Buffaloe in good standing with customers and suppliers alike. 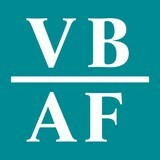 A "triple A" credit rating and volume buying power gives the company the competitive edge in pricing. With 35 years of rug business in Istanbul, Necati Metin came to The United States of America in 2001 and established Turkish Carpets, Inc. Today Cebrail, Mehmet and Tarik run this vibrant company with warehouses in Houston and Atlanta that service the entire US. We also have a team in Turkey that travel the countrysides buying unique new, old and antique rugs. Because we are a direct importer from Turkey with over 5,000 unique, hand-picked, hand-woven rugs, we are able to offer our clients a very fair and marketable price for our rugs. We feel strongly that our clients should see our rugs in the space where it will live. For that reason we have four vehicles and teams that take our rugs directly to our clients. 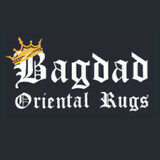 Please contact us with any rug needs. Upon giving us dimensions, style and color palette, we can set up an appointment and bring our selection directly to you. We serve all of the United States, so no project is too far nor too big for us. Thank you for your interest in Color Interiors. 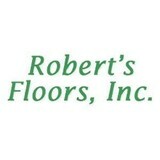 We value you as our customer and look forward to providing you with all of your flooring needs. Our experienced sales staff can help you design your floors, showers and granite counter tops into something in which you would be proud. At Color Interiors, we lay inspiration and beauty at the feet of every customer. Family owned since 1972, Color Interiors has learned that making customers feel welcome is just as important as providing them with the best quality workmanship. We make it a point to be there for the customer from start to finish … and beyond. 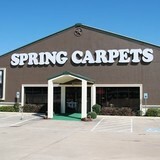 We are a full service retailer offering carpet, wood, laminate, tile, area rugs and granite counter tops. We also provide expert installation and maintenance, including carpet, tile and grout cleaning. Be sure to ask about our exclusive carpet, wood and tile lifetime warranties. Our professional staff takes the time to listen to your needs so we can customize your flooring solutions. Our company commitments extend to the community by our support of the Montgomery County Fair, Lions Club, Conroe Chamber of Commerce, Magnolia Parkway Chamber of Commerce and South Montgomery County Woodlands Chamber of Commerce. Thank you for giving Color Interiors the opportunity to serve you. When you work with us, you will have a partner dedicated to achieving your floor covering expectations. If we can be of further assistance, please do not hesitate to come by or give us a call. 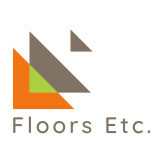 Happy Feet Floors is a family owned company and showroom that provides quality flooring products and installation for remodels, renovations, and custom new homes. Our League City, TX showroom features name brand ceramic and porcelain tile, natural stone, hardwood, laminate, carpet, and area rugs. Showroom hours 10-6 mon-fri and 10-4 sat. Carpeting is subject to a significant amount of wear and tear, so it’s crucial to make sure a new carpet installation is done correctly, or that an existing rug is maintained properly. Enter Pearland carpet dealers. From carpet repair to custom carpet design, these professionals specialize in anything and everything that is carpeting, and can help ensure that your Pearland, TX home’s new rug starts off — and stays! — in great shape. Carpet dealers in Pearland, TX help homeowners choose the correct carpet covering for their floors, and also assist with carpet maintenance. This includes determining factors like material, carpet pile, durability, color and size, as well as helping with any custom carpet design. After completing the initial installation (which includes removal of the old flooring, if applicable, and surface prep), they may also handle follow-up maintenance requests such as carpet cleaning, carpet repair and carpet stretching. Find a carpet dealer on Houzz. Narrow your search in the Professionals section of the website to carpet dealers in Pearland, TX, and read reviews and ratings for pros in your area.